Credit: Gerhard Meister (NASA/GSFC). Download this image (PNG, 364 KB). 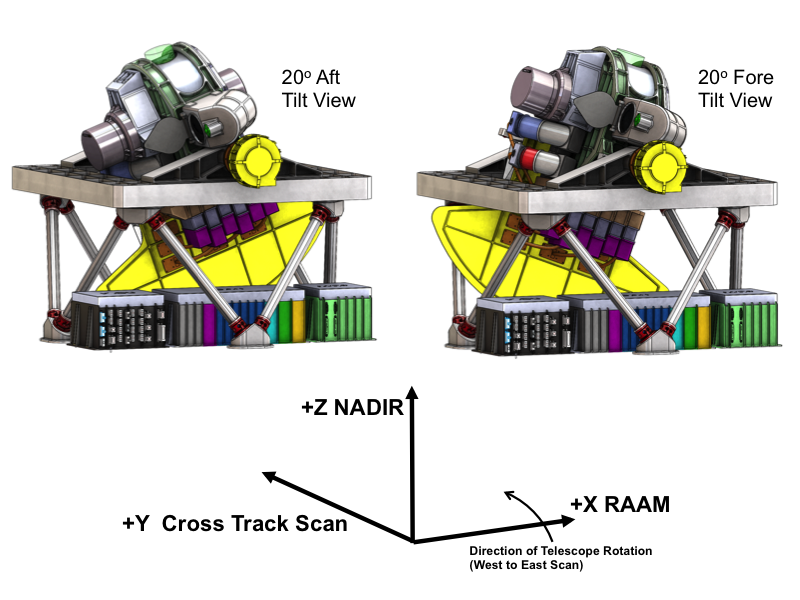 [06-July-16] A diagram of the optical bench tilts on the proposed PACE Ocean Color Instrument. The 20 degree fore or aft tilts help the instrument to avoid glint, providing a more consistent measurement.